How can free radicals worsen Parkinson’s Disease? When examining life at the molecular level, there are a number of vitamins and minerals the body requires to function. The bonds that hold these basic elements can be disrupted if subjected to toxic substances such as: radiation, ultraviolet or infrared light, chemicals (ie. arsenic, cyanide, mercury), cosmic rays, and various gases (i.e. carbon monoxide, manganese fumes, ozone). Once such bonds are broken, they can produce unstable intermediary molecules that are harmful to the body. These are known as free radicals. The body has evolved natural defenses to these toxins, making use of vitamins and minerals, which stabilize free radicals and render them to no longer pose a threat. These anti-oxidants include: Vitamins C and E, coenzyme Q10, glutathione, alpha lipoic acid and acetyl-L carnitine. Of these, Vitamins C and E are the heavy hitters. Vitamin C, being water soluble, is selective for oxygen free radicals and the reactive metal species of manganese, copper and iron found in plasma. Vitamin E on the other hand is fat soluble, and hence can protect the cell’s membrane as it is primarily composed of phospholipids (aka. fats). 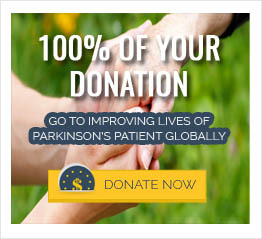 Coenzyme Q10, a mitochondrion-related antioxidant, is gaining support in preventing the development of Parkinson’s disease; one study, albeit with a small sample size, demonstrated this with daily doses of 1200-2400 mg. Found acting in the mitochondrion as well are alpha lipoic acid and acetyl-L carnitine; both neutralizing metallic free radicals. An in depth study, so far as Parkinson’s disease is concerned, has not yet been conducted. The role of glutathione is, similarly, not fully understood. Glutathione is a tiny antioxidant molecule found in high concentrations within neurons of a healthy substantia nigra. It has been found that as neurons within the substantia nigra die, glutathione levels diminish as well. What remains unknown is whether this is a reflection of Parkinson’s disease progression, or a result of these low levels.